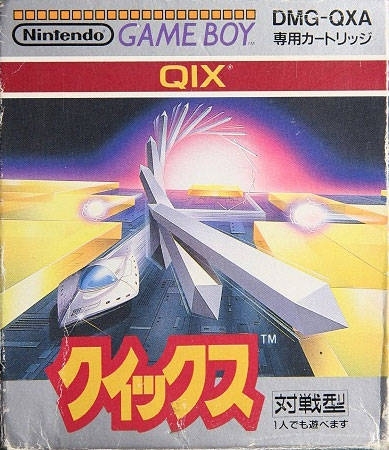 QIX - it's sneaky, it's snakey, it's an unpredictable energy field! It rotates, stretches, shortens and changes directions in a flash. 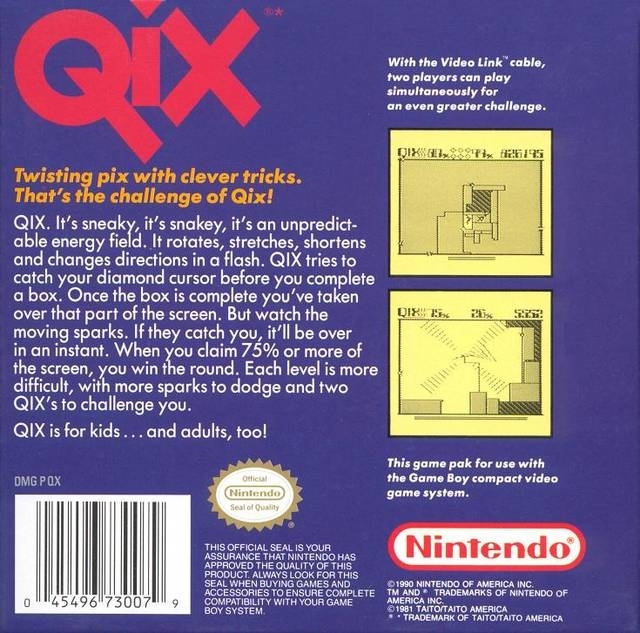 QIX tries to catch your diamond cursor before you complete a box. Once the box is complete you've taken over that part of the screen. But watch the moving sparks. If they catch you, it'll be over in an instant. When you claim 75% or more of the screen, you win the round. Each level is more difficult, with more sparks to dodge and two QIX's to challenge you! I have come back. Just bought this again! Hey I could have stolen someones synopsis myself from another website. I find it surprising that on youtube there was even a tv ad for this game back then. Agreed! This game even though it wasn't too graphical filled plenty of hours of boredom! Haha, I love this game, I should slip it into my GBA or SGB some time because I haven't played it in awhile. Simplistic but fun, I always tried to be a daredevil when filling blocks...and would fail miserably.